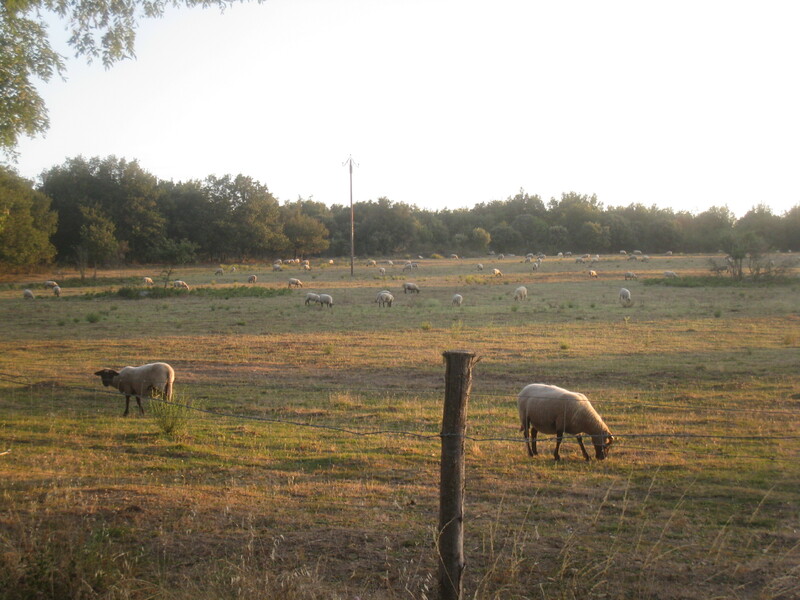 My cycling buddy and part-time chauffeur, John, has kindly offered to put together an article on a ride he did in the western part of Languedoc the other day. I’m grateful for this since I have really been neglecting that side of the world this year, not to mention that someone else doing my ‘work’ for me means one more day I can sit on my sofa! Anybody else feel like being a guest blogger..?? Most cyclists instinctively know the answer to the age old question: “why do you want to climb that mountain?” It’s simple, “because it’s there.” And there’s bound to be some sort of challenge to overcome or surprise to discover in doing so. So when my wife and two young daughters took a few days of vacation recently in the Aude, just north of Carcassonne, I couldn’t resist bringing along my bike after looking at the regional map and seeing the words Montagne Noire in big green letters not far from our bed and breakfast. Not only would there be a mountain involved, but also one with a fairly foreboding name. While my ride started in Montolieu, a medieval village known for its multitude of used book shops and printing museum, the route would be more balanced if started in any one of three villages just north of Carcassonne (Ventenac-Cabardès, Villegailhenc or Conques-sur-Orbiel). By doing so, you’ll have plenty of warm-up time before climbing the slopes of the Montagne Noire. Head west on the D35 from any one of these villages, and you’ll be gliding through the undulating vineyards of the Cabardès wine country. Barely known even to the French, the Cabardès is an AOC (appellation d’origine contrôlé) region unto itself, and benefits from the influences of both the Mediterranean and Atlantic climates due to its geographic location. Unfortunately you won’t have time to taste, but rest assured, I came back the following day and can attest that this area produces some worthy juice. At Ventenac-Cabardès, head northwest on the D38 until reaching Moussoulens, then turn north onto the D629 which takes you into Montolieu. 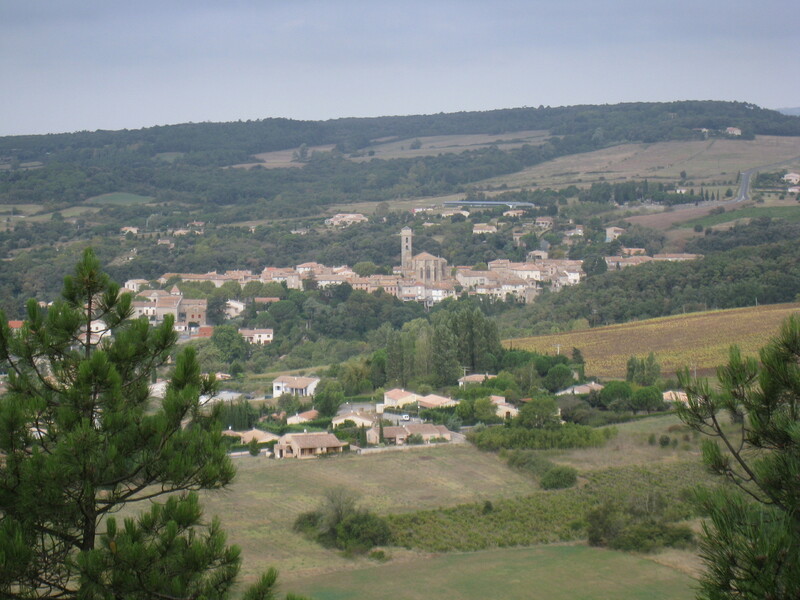 Assuming you start your ride at Villegailhenc, you will have ridden about 15 kilometers at this point, all the while skirting the foothills of the Montagne Noire. Just in case you don’t fuel up properly at the beginning of the ride, you can always stop at the green grocer in Montolieu for a snack. 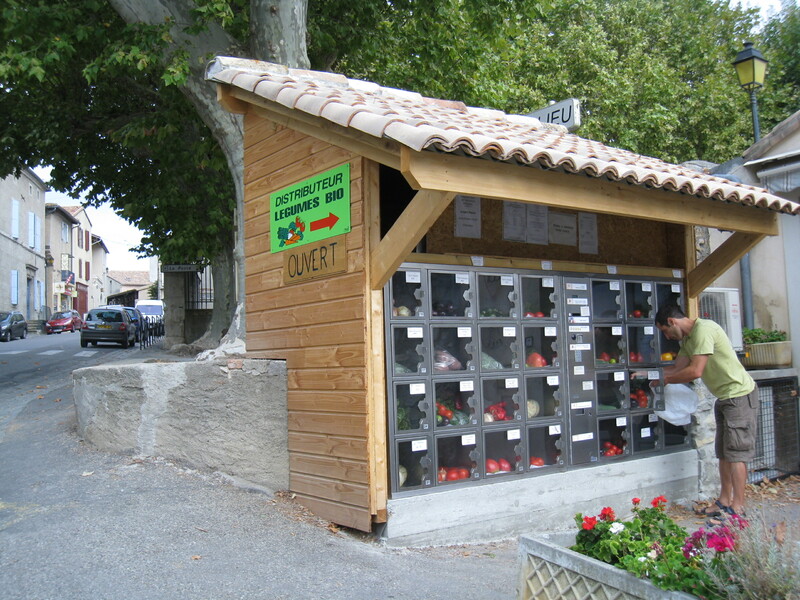 The owner is evidently an ecological avant-gardiste, as he/she has installed perhaps the world’s first automatic organic vegetable distributor. I couldn’t resist taking a photo of it in action! With the warm-up fun out of the way, head northeast out of Montolieu on the D148. You’ll immediately be reminded why you’re doing this ride in the first place, as the road rises abruptly to 5 – 7% upon entering the foothills of the Montagne Noire. The vineyards below quietly cede their place to garrigue scrublands and green oaks. 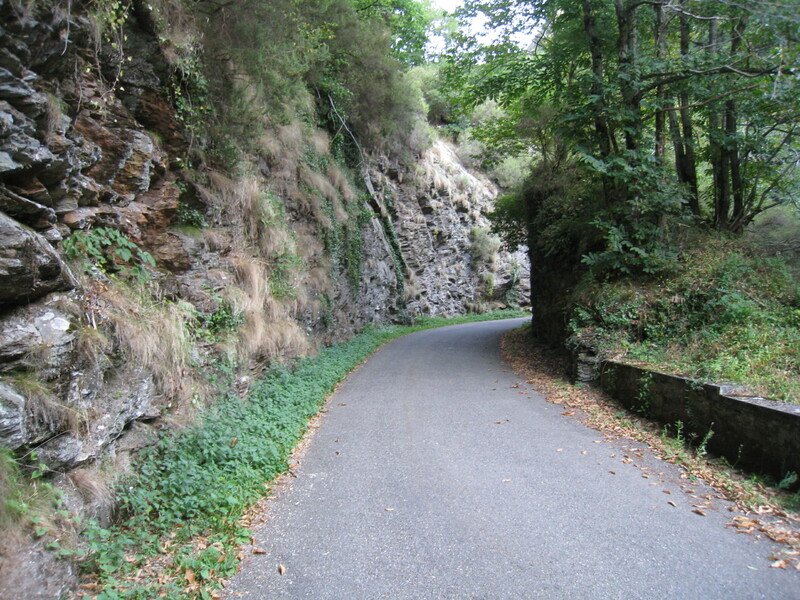 You’ll have several kilometers to find your rhythm before turning north on the D48 toward Brousses-et-Villaret. As I soon discovered, the south face of the mountain is in fact gently sloping, with average rises of 4 – 6% interspersed with short plateaus (as opposed to the north face which is quite a bit steeper, but that’s for another ride). If I had really studied my map, this wouldn’t have been a surprise. The Montagne Noire, whose highest point, the Pic du Nore, only reaches 1,200 meters, is the southwestern most extension of the Massif Central and the final massif before the agricultural plains to the south and west. But don’t let this fool you. It’s still a long way up to the top turnaround point at Laprade, about 22 kilometers in fact. Next, turn left on the D103 and cross through Brousses-et-Villaret. After less than a kilometer, turn right onto the D203, which you’ll take all the way to the top of the climb. Here again you’ll be struck by the changing landscape. This time, it’s higher altitude pasturelands that cover the hillsides. My early morning departure allowed me to meet these hungry sheep enjoying their breakfast. 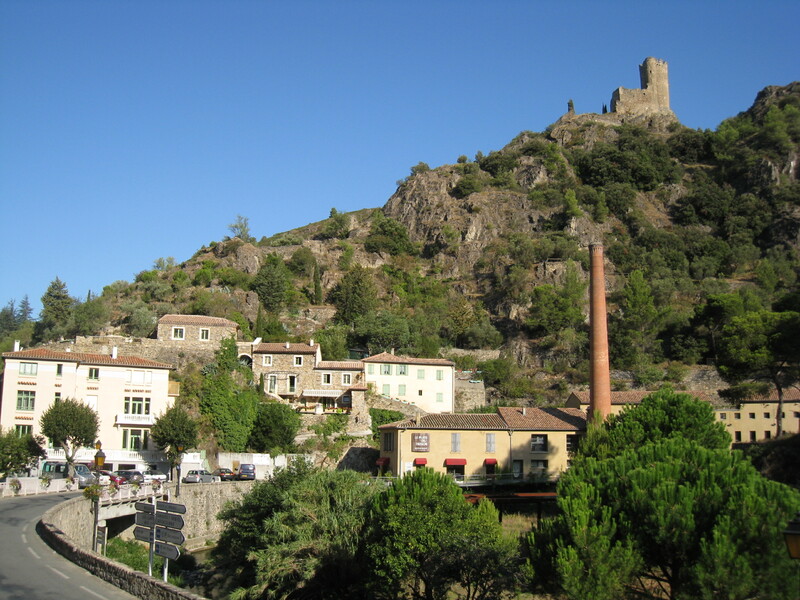 The small village of Fontiers-Cabardès is the halfway point of the climb, and you’ll be relieved to know that the second half is actually easier. Given its setting, the village boasts spectacular views of La Cité de Carcassonne 25 kilometers below, as well as the Pyrenees much further away. Unfortunately it was rather foggy down below, so I had to rely on the word of a woman who was out walking her dog. It was upon leaving Fontiers that I finally understood the meaning behind the name Montagne Noire. 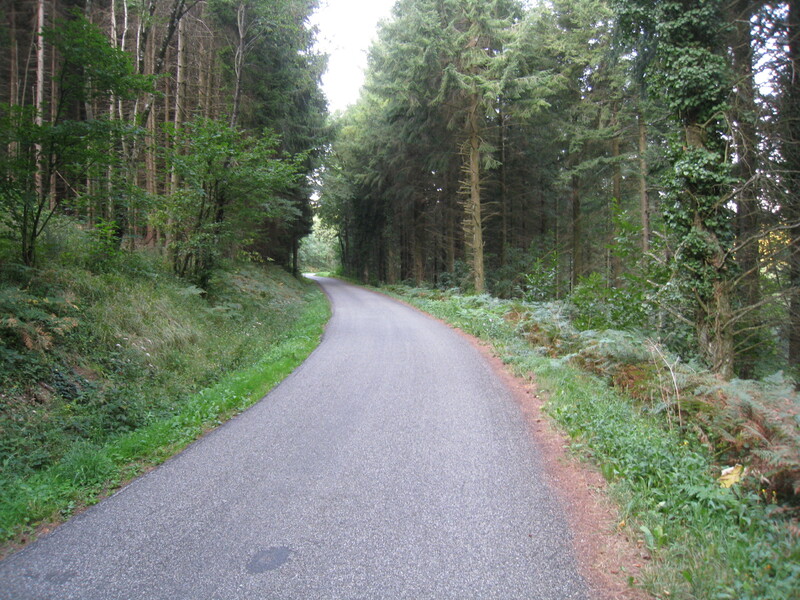 The regional forest, which starts just outside of Fontiers, used to be so dense with fir, oak and beech trees that the sun rarely broke through. Although I imagine less so today, there is still a sense of riding through a tree-lined tunnel. In fact, when I left the valley down below at 7am it was 15 degrees Celsius, but only 10 degrees with a heavy dose of humidity as I pedaled through the forest about an hour later. The remaining climb through the forest is actually less steep, with longer stretches of false flats and plateaus, and a very peaceful experience. Just before reaching the town of Laprade, at an altitude of about 1,000 meters, turn right on the D101 where a well deserved descent begins. I happened to venture into Laprade to see what was on display, and wasn’t disappointed. The prominent village church on the main road was nothing like I had seen before. 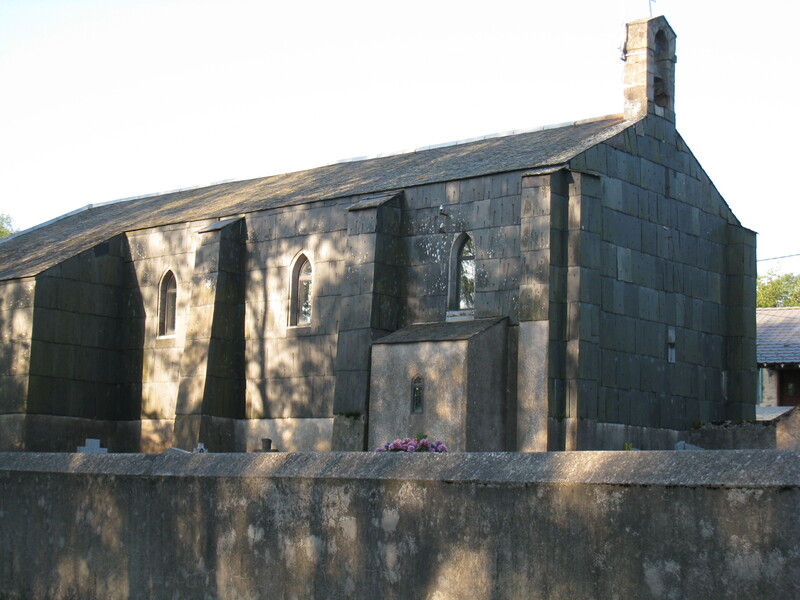 It was actually shingled from head to toe in large slate tiles. Later I read that the area used to have a very active mining industry, which included slate and other stone material, as well as iron, lead, copper, silver and gold. Yes, gold. In fact, France’s last gold mine, not far from here in a town called Salsigne, only recently closed in 2004. Rumor has it that wildcat miners are back panning the nearby rivers given today’s all-time-high price of gold. One of the joys of any climb is, of course, the descent. Descending the Montagne Noire on the D101 is a pleasure in itself. 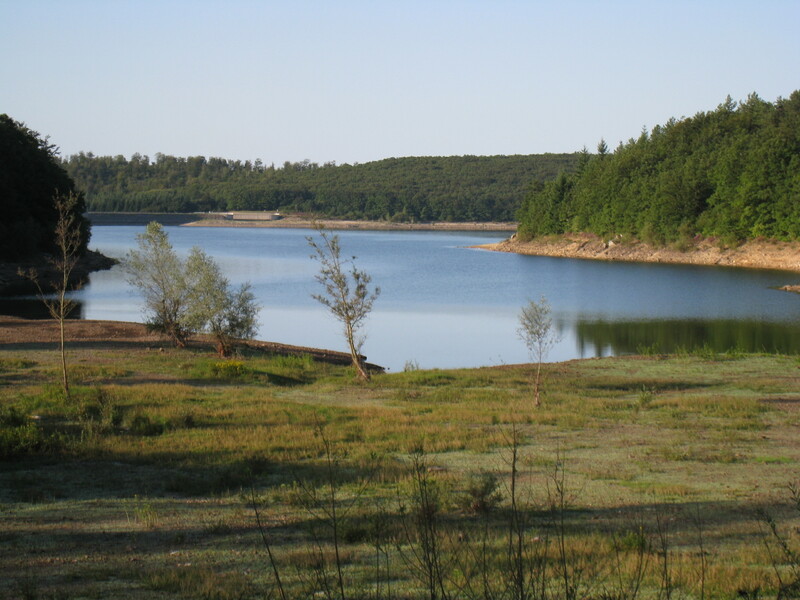 The first 5 kilometers consist of not-too-steep, wide-turn country road with views such as this one of a man-made lake. You can just make out the damn on the far left side. Then things get a little more exciting as the D101 enters the Orbiel river gorge. 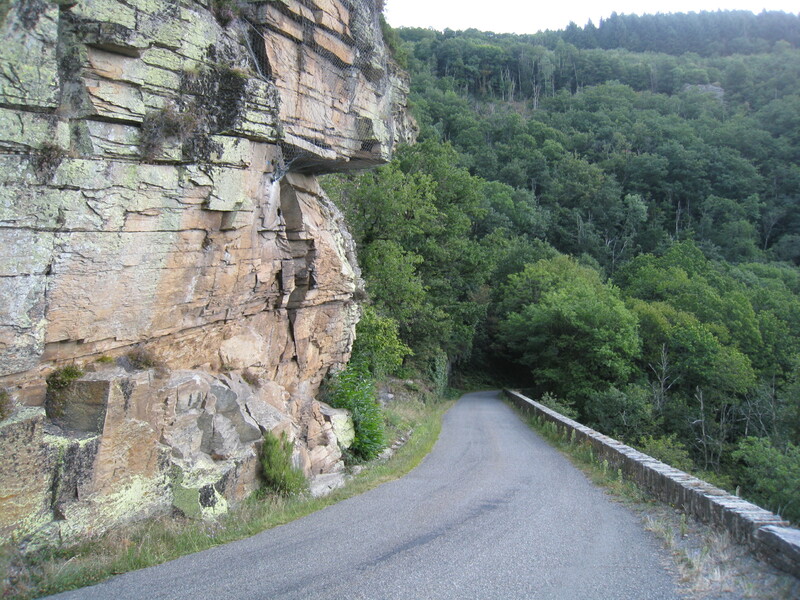 This isn’t one of France’s largest gorges by any means, but it’s pretty steep and very tight, with lots of hairpin turns. Here are a few pictures I managed to squeeze off. At one point during the descent, I felt a little embarrassed because I had been crossing quite a few riders heading up in the other direction. As I was the only one heading down, I imagined them shaking their heads behind me and muttering something about “tourists” taking the easy route. The gorge finally opens up at the tiny village of Lastours. For such a small, off-the-beaten-track place, it sure has a lot to offer. How about a 1-star Michelin restaurant, Le Puits du Trésor, charming bed and breakfasts, a reconverted textile factory, and the real showstopper, vestiges of four Cathar castle strong-holds perched on the rocky outcroppings above the village. Lastours is definitely worth a visit off the bike. Heading out of Lastours, still on the D101, I chuckled on the way past this bridge, an homage to village bicycles of the past. 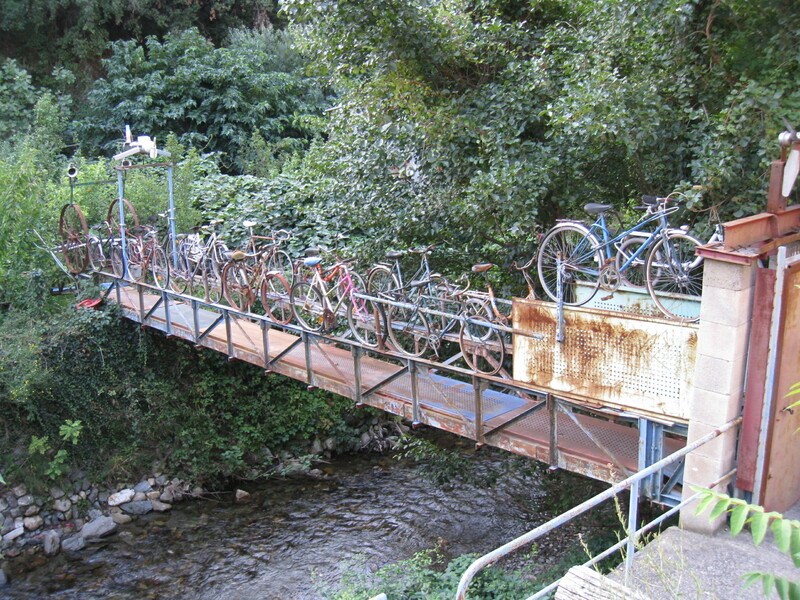 No racing bikes here, but definitely a creative way to spice up an otherwise boring metal foot bridge. You’ll stay on the D101 all the way into Conques-sur-Orbiel, where the vineyards greet you again. Depending on your start village, turn right on the D35 and finish up your ride with a nice warm-down. You will have ridden 75 kilometers with about 900 meters of elevation gain. While the Montagne Noire isn’t as threatening as its big brother, the Pyrenees, to the south, it does offer a varied landscape with challenging climbing, historical stop-offs and lots of great views. But as cyclists, we don’t need these great excuses to go out a climb a mountain. We just like to climb it because…. Thanks John for a really interesting account of a fascinating ride. And wonderful photos too. That’s a very attractive part of France. I love the bicycle bridge, by the way! How about a ride through your vineyard? It’s the off season…I’m dying for material!